Much of the press surrounding Jason Isbell’s new album has been focused on the fact that, in the interim between this first solo effort and his last release with his band The 400 Unit (2011’s Here We Rest), he got sober and married. That might lead a listener to expect an album full of well-meaning, self-help bromides and syrupy love songs. Southeastern is, thankfully, nothing like that. If anything, Isbell reaches deeper into the darkness on this album that might be comfortable for some, but it’s only because he needs to get down into those depths to properly show the true grace of coming back to the surface. This album is harrowing and not for the timid, but those who stick with it will be treated to a truthful, moving journey and a master class in songwriting to boot. The absence of the 400 Unit means that Isbell is sticking mainly to acoustic guitars here, with the occasional fiddle (provided by wife Amanda Shires) or slide guitar adding atmosphere. The former Drive-By Trucker has been a star on the Americana genre for several years now, but confining these songs to any kind of class based on the slight twang in Isbell’s voice only limits their scope and breadth. Electric guitars occasionally muscle their way into the picture, but only the hilarious “Super 8” truly rocks, and even then the narrator regrets his boozing, brawling ways the morning after. The other electric songs, “Stockholm” and “Flying Over Water,” are actually among the most relaxed on the album; when Isbell unplugs, the intensity really spikes. Isbell’s characters often falter in their moment of truth, only to regret it after the fact; quoting fatherly advice in “Different Days,” he sings, “The right thing’s always the hardest thing to do.” For example, the brawling smart-aleck of “Songs That She Sings In The Shower” is left behind by his woman, realizing his restless nature is to blame: “And the church bells are ringing for those who are easy to please.” The end result of such foolishness is “Traveling Alone,” where a perilous mountain drive parallels the steep precipice of loneliness where the narrator teeters. The songwriter also isn’t afraid to show how those inherent human frailties can easily turn violent corners. “Live Oak” is on the surface a murder ballad set centuries ago, but the song’s opening lines could be the mantra for any combustible relationship: “There’s a man who walks beside me he is who I used to be/And I wonder if she sees him and confuses him with me.” “Yvette” tells the tale of a girl being sexually abused by her father through the perspective of her would-be teenage avenger, the song ending with the gun poised to fire. The versatility displayed on the album, produced by David Cobb, is stunning. On “New South Wales,” Isbell spins wisdom with high-falutin’ wordplay worthy of Townes Van Zandt. By contrast, “Elephant” is a grounded, heartbreaking tale of a couple dealing with cancer, all elegance cast aside for an honest depiction of the disease’s ruthless attack and the futility of trying to carry on a normal life in its shadow. There are indeed love songs on Southeastern, but they aren’t poetic odes to beauty or anything like that. “Cover Me Up” and “Relatively Easy” bookend the album by showing that the good times are only truly appreciated after brushing up with the bad, and that the struggle to cling to your best self never abates even when someone you love requires that best self from you. 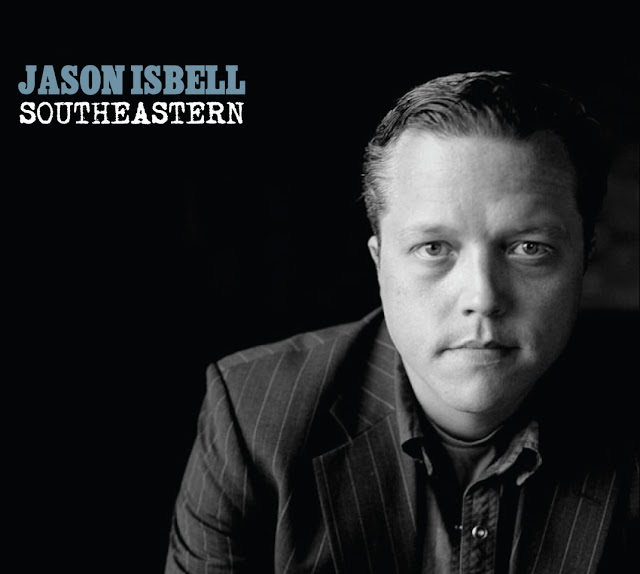 On this incomparable album, Jason Isbell delivers those realizations without sugar-coating the long, hard road one has to travel to reach them.